*Update 7/20/16 - Scroll down for short video tutorial. Spring must be in the air because beauty is on my mind this week! I wanted to share my favorite lip treatment for super soft full lips! It works wonders to smooth those poor winter chapped lips. Whip up this amazing lip scrub in a jiffy! 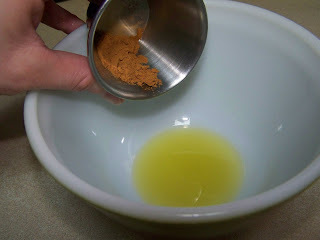 1) Mix 1 tsp of ground cinnamon with 1 Tbsp of olive oil. Add 1 Tbsp of salt (or sugar). salt. The mixture will look a bit thicker. 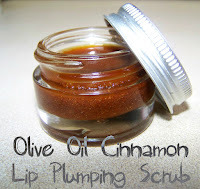 To use, apply to lips and gently scrub in a circular motion. For maximum plumping action, leave on lips for 5 to 10 minutes. Rinse with lukewarm water, gently pat dry. 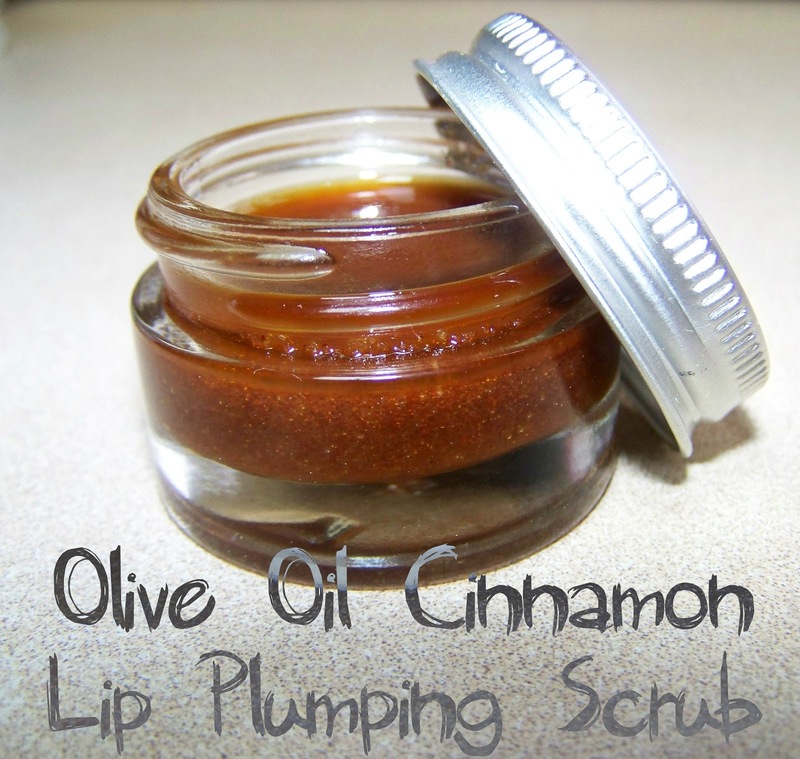 The Olive Oil Cinnamon Lip Plumping Scrub together! Also check out Perfectly Posh by Poppyjuice to see commercially prepared products using only naturally based ingredients. Luxurious pampering products with all of the good and none of the bad! Be sure to subscribe so you won't miss out on future helpful tips and tricks! This looks fantastic! I am definitely going to try it. Can you tell us where you get the little containers to store the balm and scrub? Thanks so much for your visit! I am actually reusing old skin care containers. I tried to find links for you all to view but couldn't seem to. I know that Hobby Lobby sells containers that can be used for creams, etc. Maybe a mineral makeup supplier would sell them? Do let us know how this turns out for you! I love these ideas of yours! I'd like to know though, where did you find those super cute containers? Thanks Marie! I just used some old cosmetic jars that I had leftover. I tried to find some for you to look at that are similar and actually found some through a company listed on the side of this page called the Container and Packaging Company. If the link is gone when you look (the ads rotate like a billboard) then go to www.containerandpackaging.com. It looks like they have a nice variety at a reasonable price. It appears that you can buy in bulk or individually. Do let us know how these ideas work for you! I never knew cinnamon could do that! 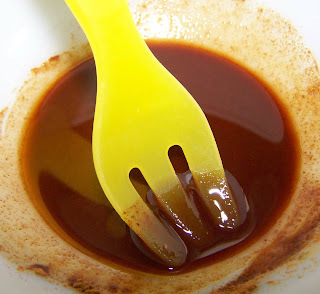 Apparently cinnamon oil would be even more effective but I'm afraid it would irritate my skin, plus I like the exfoliation effect of the ground cinnamon. 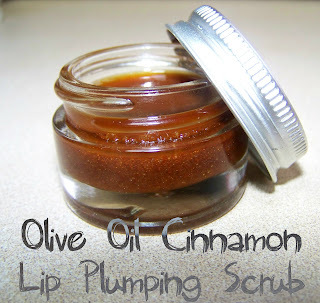 I've not used a commercial lip plumper but I've read that a lot of them use cinnamon oil or cayenne pepper....OUCH! Thank you Heather! I think coconut oil would be a great alteration! I used salt simply because it's often used in scrubs and I wanted to try something different than the sugar that I'm always using. I really like both equally and I think if you wanted to try it with sugar, it would definitely make a tastier version! I'd love to see a posting on your creation! Thank you Ann! I do hope you like it. Heather brings up a valid question of using sugar instead of salt. You may find sugar to be a gentler substitute. Please do let us know how this works for you! Thank you Alicia! I'm glad to hear you liked the scrub! And I agree, unless you LOVE salt to the extreme, sugar would definitely be a more pleasant ingredient! Sugar is usually my go to ingredient in scrubs so I'll probably make the next batch with sugar instead of salt. I just tried it with sugar and my lips feel so soft, I like it. Thank you for the great idea! I think using sugar instead of salt and adding a bit of real butter is an excellent idea! I might however be tempted to just eat the whole thing instead ;) Do let us know how you like it! this looks really great but i would like to know how to storage it later do i refrigerated or not? I store mine at room temperature and it's keeping quite well. I think you wouldn't need to refrigerate it whether you made it with sugar or salt. Enjoy! 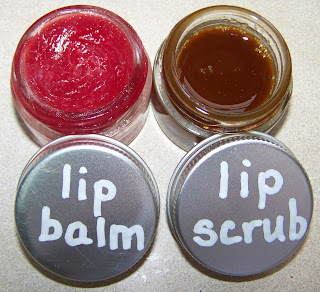 I also read that you can make a lip scrub using vaseline and sugar. I bet if you added a bit of cinnamon it would work. Plus with sugar you have no drying/irritation from the salt. I've used vaseline & sugar for years so this is even better! I never mixed them I would just put vaseline on my lips and then put sugar in my palm and pat it on top. I have even gotten rid of flaky lips at work by taking a sugar packet, wetting my lips and then using the sugar. However this is such a step up! Very cool. I love the sugar packet idea! What a great way to get rid of flakiness when you are away from home! how long do you put it in the fridge for (assuming you put it in there to set that is)?